The BSES has imposed a penalty of over Rs 1 crore on two industrialists for stealing power. They were caught stealing over 120 KW of electricity. When they failed to deposit the amount within the stipulated timeframe, the BSES filed FIRs against them. 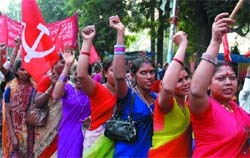 A special court has remanded them in a 14-day judicial custody. With a view to preserve the cultural diversity of the country, the UNESCO (United Nations Educational, Scientific and Cultural Organisation) has announced plans to develop a web-based video encyclopaedia of India. In a significant consumer-friendly order, the Delhi consumer commission has ordered Go Airlines to pay Rs 15,000 each to the passengers of a flight, which was cancelled due to a technical snag. With a view to cement the India-Pakistan ties and sharing each other’s cultural nuances, a 21-member delegation from Lahore-based government college university has arrived on the campus of Delhi University for ten days, as part of an educational and cultural exchange programme. The delegation arrived on Sunday on DU’s invitation. Two MBA students were killed, while taking part in a race on their 1000 high-powered Honda racing bikes, about 7.30 on Sunday morning. The Noida Expressway, which is also called “Killer Expressway” has taken 60 lives, mostly in traffic accidents in about past five years. The Delhi High Court on Monday asked all unaided minority schools in the Capital to implement the Ganguly committee’s recommendations. Defence minister A K Antony today said people from all walks of life should follow the teachings of the religions they belong to in their personal lives as that would make them wonderful human beings and would eradicate evil and wickedeness from every sphere of life. The Edhi Foundation and the Ramakrishna Mission were honoured with the GART–AMDA Award – 2007, for their contribution in the areas of disaster and crisis management at Gandhi Ashram in the Capital recently. In the wake of an increasing number of deaths on Delhi roads caused by Blueline buses, Chief Minister Sheila Dikshit has admitted to the chaotic working of the Bluelines in the city but at the same time also stressed the need for discipline among the public. Coming down heavily on Blueline buses, the Delhi High Court on Monday told owners of the ‘killer buses’ to deposit the compensation for accident victims before seeking release of their confiscated vehicles. It also asked the government to calculate the cost of living index for a final compensation amount. Since heart disease is caused mostly due to lifestyle-related problems and can even affect younger people who are in their 20s, the nine tests designed by leading cardiologists at Fortis Noida specifically inform people about the ill-effects of smoking, consumption of fatty foods, excessive stress and other factors on your heart, says Dr Upendra Kaul, director, Fortis Noida cardiology team. An earthquake of light intensity rocked Delhi and neighbouring areas in the early hours, jolting people out of their sleep and forcing many to rush out of their homes in the cool winter morning of Tuesday. The political drama starring Taslima Nasreen, currently playing in the country, witnessed an interesting angle with former BJP MP B.L. Sharma “Prem Singh Sher” offering to adopt the controversial Bangladeshi writer “as his own daughter since no one else was accepting her”. The South district police has arrested a Malaysian national for using fake credit cards for shopping. Tseng Tak Weik was arrested on the complaint of the owner of a watch showroom in Greater Kailash I. An earthquake rocked Delhi and its neighbouring areas in the early hours today, jolting people out of their sleep and forcing them to rush out of their homes. The North district police claims to have busted a gang of cheats, by arresting three persons, involved in stealing bank drafts and withdrawing money by opening fake accounts in several banks. Purushottam Kumar, Subodh Kumar and Munna Kumar have been arrested in this regard. India has over 240 million buildings, both residential and commercial, but few are built to be quake resistant, warns a top official of India’s apex body for disaster management. And disasters—in case of strong earthquakes—are waiting to happen. Veer Singh, an industrialist, operating a medium-sized zinc plant from a dairy farm in East Delhi, was caught using stolen power. The team also caught Ram Rakha, an industrialist, who runs a medium-sized wire drawing plant on similar charge. Subsequently, a BYPL enforcement team, accompanied by the CISF and the Delhi Police personnel raided a Gazipur dairy farm in Mayur Vihar Phase 3 and Vasundhara in East Delhi around 6:35 am on December 6, 2006. It was found that Veer Singh stole over 45 KW of power by way of direct hooking to run a zinc plant. As per the provisions of the Indian Electricity Act, 2003, a penalty of over Rs 49 lakh was imposed on him.In another inspection carried out by a BYPL enforcement team on October 5, 2006, Ram Rakha, owner of a mid-sized wire drawing plant was found stealing over 77 KW of power. The meter was disconnected and Rakha stole power by illegally tapping into the nearby BSES LV mains. A penalty of Rs 58.39 lakh was imposed on him. The proposed site, www.indiavideo.org, which will highlight the culture, heritage and geography of the country, is being developed by Invis Multimedia - a premier content development organisation, specialising in audio-visual production. Announcing the agreement between the UNESCO and the Invis Multimedia, Minja Yang, director, UNESCO, New Delhi said that one of the mandates is to safeguard and promote the wealth of the world’s cultural diversity. India is a vast country, with an extraordinarily ancient and diverse cultural heritage. The objective behind this project is to develop an atlas of India that covers not just its geographical features but the cultural ones too, Yang said. She said that the content would be created in a format that is easily accessible and would generate awareness about the importance of safeguarding India’s heritage. The encyclopaedia will have detailed sections on each state and union territory. The video clips will be supplemented with text in English. Kerala is the first state to be covered, with 2,000 professionally created video clips, which are to be uploaded by March 2008. 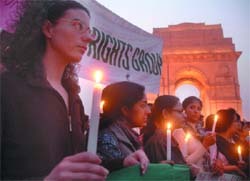 The uploading of video clips from other parts of India will begin along with the formal launching of the site in April 2008. Observing that there are 28 world heritage sites in India, yang said that the UNESCO’s principles were to embrace the protection and promotion of heritage and creativity in a much broader sense. Cultural diversity not only encompasses landscapes and buildings, but also rituals, performing art, traditional crafts and other traditional knowledge on nature. This is why, a video encyclopaedia is particularly well suited to depicting the full range of India’s culture, she said. The order was passed in connection with a compensation application filed by one passenger of the cancelled flight. Apart from awarding relief to the complainant, the commission decided to extend the benefit of its order to the other passengers of the flight. We, hereby, direct the airline to send cheques of Rs 15,000 to the passengers, who were to travel on that flight, as compensation for the mental agony, harassment, emotional suffering and physical discomfort caused, the commission’s president Justice J D Kapoor said in a recent order. The commission observed that it was high time to punish errant airlines, with deterrent action, for their failure to curb delay or cancellation of flights caused by poor upkeep or poor management of their affairs. We want to dispel the impression or belief of the airlines’ management that they are liable to compensate only those passengers, who sue them, it said, observing the unjustifiable cancellation of the flight, early this year, had caused sufferings to a large number of consumers, who were not identifiable conveniently. Ordering Go Airlines to send the cheques to all passengers of the cancelled flight within a month, the commission has asked it to furnish the particulars of the payments, so as to avoid further action. The delegation includes two teachers and 19 students from the drama club of the Lahore based government college. It is the first time that a delegation of Pakistani students has visited Delhi University. Suchitra Gupta, dean, cultural council, Delhi University, said that the delegation would stay on the DU campus till December 4. It would stage some plays in some DU colleges and would also interact with the cultural teams of different colleges. “That way, students of both the universities will get to learn many things about each other and the cultures of their countries,” she added. The Pakistani students would stage plays like ‘Anarbel’ and ‘Bhai Behen’ in colleges like - Kamla Nehru, Hindu, Lady Shriram, and the India Habitat Centre. They would also be taken on a sightseeing tour during their trip to India. Significantly, a delegation from three colleges of Delhi University, including Hansraj, had visited the neighbouring country last year. Sanjiv Raj, 22, riding the bike was killed on the spot when he was thrown off his bike some 15 metres away as his bike hit the culvert, about 5 km from Amity University Campus. Pillion rider, Amit Chopra, 22, grievously injured in fall on the road was rushed to Kailash hospital where he died later. Both were MBA students in a Delhi institute. Ironically, Amit Chopra had promised a friend on Saturday night that he was quitting bike racing as it was very risky. About a dozen youths were taking part in the race from Noida to Greater Noida yesterday when this mishap occurred. Race enthusiasts have found the well-maintained and clean 24-km long expressway very inviting for racing. Motor bikes and sometimes even four-wheelers can be seen using the broad and smooth highway for racing on mornings of Saturdays and Sundays. Incidentally the G.B. Nagar traffic police have proved ineffective in stopping the race buffs. The races, the police say, comprise about 47 km back and forth on over 23-km expressway. Quite often this fun game of racing results in the dance of death for the participants. About two years ago, the police had arrested about a dozen persons having a race in their luxury cars which were seized. This patch has become the favourite racing track for the prosperous Delhi residents and youth. Six months ago in a similar luxury car race on the Expressway, a villager had a narrow escape from being knocked out by one of the cars. Irate villagers had smashed the glasspanes of many cars. But racers had fled by the time police reached the spot. A bench comprising Chief Justice M.K. Sharma and Justice Sanjeev Khanna stayed the previous order, which gave unaided minority schools the liberty to not follow the recommendations of the Ganguly committee. Justice B.D. Ahmed had on February 8 ruled that the unaided minority schools did not come under the purview of the Ganguly committee. The committee was appointed by the Delhi High Court and is headed by the Central Board of Secondary Education (CBSE) chairman Ashok Ganguly. In its reports submitted to the court, the committee had suggested various measures to change the method of admissions to nursery classes. Admission parameters proposed by the Ganguly committee included the neighbourhood policy, the sibling factor, educational qualification of parents, and alumni status. Releasing the Malayalam translation of the holy book of Muslims, the Koran, by Hindu scholar Vanidas Elayavoor and Muslim scholar Sheikh Mohammad Karakkunn here, Antony said the message of the Koran is for the entire mankind and it preaches unity among all people, irrespective of the religions they belong to. He said a Hindu scholar and a Muslim scholar joining hands to do something as noble as translating the Koran is something first of its kind and it should set an example in society. Antony said three or four translations of the Koran already exist but the one done in the Malayalam language is the easiest. ‘’Hundreds of thousands of people have been reading the Koran since it came into being and have benefited immensely from it. This has also brought them out of the darkness they earlier were languishing in,’’ he added. Nirmala Deshpande, president, Gandhi Ashram Reconstruction Trust (GART) and Shigeru Suganami, president, Association of Medical Doctors of Asia (AMDA in Okayama, Japan) presented the awards to Begum Bilquis Edhi and Swami Suviranandaji, additional secretary, Ramakrishna Mission. The award ceremony marked the culmination of the AMDA’s 20th international conference. Many doctors, volunteers, and NGO workers from over 15 countries including, India shared their experiences in the field of emergency relief. The Edhi Foundation provided free kitchen to the victims of Tsunami in Sri Lanka and Indonesia in 2003. It also carried out relief work in the earthquake-hit Azad Kashmir and the NWFP area in 2005. Abdul Sattar Edhi, born in 1928, in a small town in Gujarat, migrated to Pakistan in 1947. He established a welfare trust named the ‘Abdul Sattar Edhi Foundation’. The Foundation carries out humanitarian works in the area of crisis management. Edhi married Bilquis, a nurse, who worked at the Edhi dispensary, in 1965. Presently, the Foundation has a service of 1,200 ambulances, one helicopter, two aircrafts, 28 rescue boats and many shelter homes. The Ramakrishna Mission, established by Swami Vivekananda in May 1897, mirrors the messages of Ramakrishna Paramhansa, whose life, as described by Mahatma Gandhi, was a story of religion in practice. The Mission, known for its humanitarian works, has 166 branches and many hospitals, schools, colleges, dispensaries, orphanages, hostels and rural and tribal development centres. The Gandhi Ashram Reconstruction Trust (GART) operates on the Gandhian ideology. It aims at providing more organised and networked relief service during disasters and rekindling the spirit of ‘sewa’ (selfless service). It also aims to develop a community at the Gandhi Ashram at Kingsway Camp. The AMDA is a humanitarian, non-profitable, non-political, non-sectarian and non-governmental organisation. It aims to maintain global peace and carry out developmental works. It is a UN-recognised organisation, working primarily in disaster areas. In 1995, it received the Consultative Status from the United Nations Economic and Socialouncil (ECOSOC). Speaking on Devil’s Advocate on CNN IBN, Dikshit, while reiterating her government’s commitment to phase out the Bluelines from the city’s roads, said it could not be done overnight and that the process would take two to two and a half years. ‘’On our part, we want to get 5000 to 6000 new buses in one year’s time. But, we cannot get them because they are just not available. It is not easy to get CNG buses in India. There are not enough manufacturers of CNG buses. But buses are definitely coming by the year 2009-2010,’’ the Chief Minister said. Dismissing charges of inaction levelled against her government, the Chief Minister said the government had done everything possible to rein in the Bluelines in the past months. ‘’Your life is as precious to us as it is to you. It pains me to see if there is an accident. And, we have taken action. Police did take very strong action against a driver a week ago, putting him behind bars under culpable homicide which had them really scared. I have met with their federation at least five times, pleading them that lives are very important for us. In fact, if we had not done anything to curb the problem, you would be having more than the hundred people (who died in Blueline accidents),’’ Dikshit said. A division bench headed by Justice Mukul Mudgal asked bus operators to pay a compensation of Rs 100,000 each to the kin in case of death, Rs 50,000 each for grievous injuries and Rs 25,000 each for minor injuries caused by the buses. Dealing with an application of about 10 bus operators seeking release of their impounded buses, the court said their vehicles would be released only after compensation is paid. “Pay the compensation and then the court would order the release of the buses,” said the court emphatically, reminding the owners that the toll in Blueline accidents in the city had crossed 108 so far this year. The money would be deducted from the amount finally awarded by the Motor Accident Claim Tribunal (MACT) courts, the High Court said. “It’s becoming shocking day by day and cannot get worse than this,” the bench said, referring to the frequent accidents caused by these privately owned buses. The court also asked the central government counsel to calculate the cost of living index from November 1994 till date. “The cost of living index must have gone up after so many years. So get us the figures first and update them in the Motor Vehicle Act and then we will pass any order on the compensation,” said the bench. The Capital has over 4,000 Blueline buses, which form a crucial part of the city’s public transport system. The Comprehensive Heart Check comprises the following tests: Blood sugar–fasting & PP, serum creatinine, lipid profile, ECG, ECHO, TMT, X-ray Chest-PA View, cardiac consultation and diet consultation. Further, Fortis Hospital, Noida, is offering angiography tests at Rs 7,000 —at a discount of 40 per cent. Fortis has recently integrated the world renowned cardiac care facilities at Escorts Heart Centre and Research Institute with five of its hospitals, including Noida. Thus, patients coming to Fortis Noida can avail themselves of the same treatment that they would get at Escorts Institute, Okhla, Dr Kaul informed. Fortis Hospital, Noida, offers emergency evacuation for cardiac patients. In fact, the hospital offers this service free of cost within a 50-km radius of the hospital, covering areas such as Greater Noida, Hapur, Bulandshahr and Meerut. While the India Meteorological Department (IMD) has classified the earthquake in “light intensity” category, environment group Yamuna Jiye Abhiyaan (YJA), which has been actively campaigning in Delhi against Commonwealth Games village and high-rise structures coming up on the riverbed of Yamuna, has called the earthquake a very gentle warning by nature. “The earthquake is a signal that don’t mess with nature,” says YJA member Manoj Misra. As per the IMD, the earthquake occurred at 4.42 am and measured 4.3 on the Richter scale. Tremors were felt strongly in Delhi and surrounding areas of UP and Haryana as its epicentre was on the Delhi-Haryana border at Lat. 28.6°N and Long. 77.0°E. Besides the Capital, the tremor was felt in surrounding areas, including Noida in UP and Faridabad and Gurgaon in Haryana. IMD scientists call the Delhi tremblor a normal tectonic activity in the area having no relation with the 6.7-magnitude earthquake that struck off Indonesia’s Sumbawa island today. “There are many activities that take place across the globe on any normal day. Delhi lies in a seismically active zone. Tectonic activities acting on the globe increases stresses on fault lines. When stresses increase beyond the strength of the rock it result into an earthquake. Today’s earthquake was of light intensity,” they say. Misra, however, terms the earthquake “quite pronounced”. “Today’s earthquake was quite pronounced. And the last one which was 3 on the Richter Scale was on October 18 and centred in Noida. These are signs that high-rise buildings should not be raised in flood plains. People were woken up from their sleep as buildings rocked for a few seconds. They rushed out of their homes into open spaces. The fact that the epicenter was very close to the Moradabad fault line shows that Delhi fault lines are becoming active. Despite this construction activities are continuing along the fault line,” he added. Sharma, who currently is the national secretary of Vishwa Hindu Parishad and is no longer associated with active politics, said the offer was open to the writer “subject to her consent”. The 78-year-old two-time MP from the East Delhi constituency confirmed to The Tribune his offer to Taslima, adding that he would provide her accommodation throughout her life. 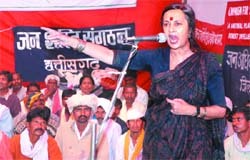 Sharma, also the founder of Akhand Hindusthan Morcha, was elected to the Lok Sabha in 1991 and 1996. He says his two daughters have no objections to his adopting Taslima. According to Sharma, he took pledge to protect Taslima in order to uphold Hindu traditions and teachings of Guru Gobind Singh who ordained that “cow and underprivileged must be protected even at the cost of life”. The suspect had bought a wristwatch worth Rs 88,000 from a TAG Heuer showroom on Sunday. Instead of making the payment by cash, he gave one credit card to the seller. Later, the card was found to be a forged one. The earthquake, described by the Met department to be of light intensity, occurred at 4.42 am and measured 4.3 on the Richter scale. However, the tremor was felt strongly in Delhi and surrounding areas of Uttar Pradesh and Haryana as its epicentre lay on the Delhi-Haryana border. People were woken up from their sleep as buildings rocked for a few seconds. Shaken up by the quake, people rushed out of their homes into open spaces and waited for some time to rest assured there were no further tremors before they went back inside. People reported ceiling fans and paintings shaking violently due to the quake. There were no immediate reports of any damage to life and property. Besides the Capital, the tremor was felt in surrounding areas such as Noida (UP), Faridabad and Gurgaon (both in Haryana). The suspects had opened a fake account on the name of one Ajay Kumar in the Punjab National Bank. Later, one of their friends, who works in a general post office, took a bank draft of Rs 9,72,123 issued in the name of some firm. “Estimates suggest that the country has over 240 million buildings but the scary part is that most of them are not quake resistant nor can withstand high intensity tremors,” N.V.C. Menon, a senior member of the National Disaster Management Authority (NDMA), told IANS. A moderate earthquake measuring 4.3 on the Richter scale shook residents of the national capital and surrounding areas out of their beds early on Monday. Tremors were also felt in the neighbouring towns of Gurgaon, Ghaziabad, Noida and Faridabad where a building boom has seen high-rises multiply both for offices and residences. “Nearly 60 per cent of India’s population is living under constant threats from such disasters waiting to happen. Natural tragedies can’t be prevented but we can minimize its consequences. We expect all state agencies to enforce and follow disaster management guidelines notified by the central government,” Menon added. With a burgeoning population and rampant unscientific construction mushrooming all over the country in the shape of multi-storeyed luxury apartments, huge factory buildings, colossal malls and warehouses, the threat becomes real.